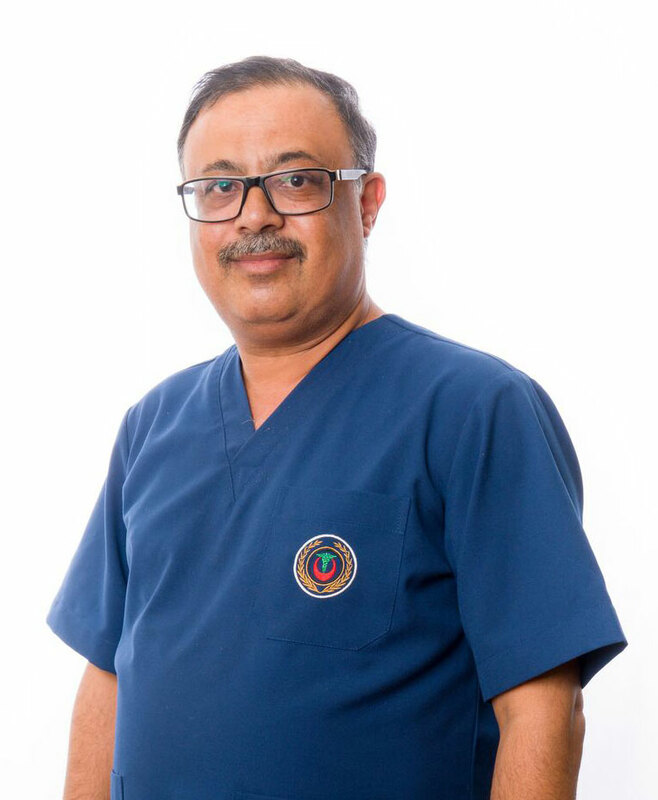 Dr. Wadie Yousif graduated from Mosil university 1986, and has done a fellowship in radiology at Ameeri hospital in Kuwait 1989-1990 and university hospital of wales in Cardiff 1991-1994. Dr. Wadie Yousif has done a fellowship in vascular and interventional procedures at king college, London at both St. Thomas hospital and Guys hospital, NHSTrust. Dr. Wadiea Yousif worked at Salmaniya Medical Complex as consultant in interventional imaging at September 1999 to August 2013 and joined Ibn Al-Nafees Hospital at its opening in 2002 for one year. Then, in 2007 as part-time consultant radiologists and from September 2013 to date as full-time consultant radiologist. Dr. Wadiea Yousif has 28 years of experience in radiology and 19 years of experience in vascular and intervention imaging. Qualification, MbChB (Mosul university) 1986, FRCR (London) 1995 and a fellowship in vascular and interventional imaging 1999 kings college, London. Dr. Wadie Yousif is specialized in general radiology, ultrasound, and interventional imaging.